Ewe Can Meet Santa & Rudolph! Meet Santa & Rudolph & lots more Festive Farm Fun! Santa Claus lives here at the farm every Christmas! 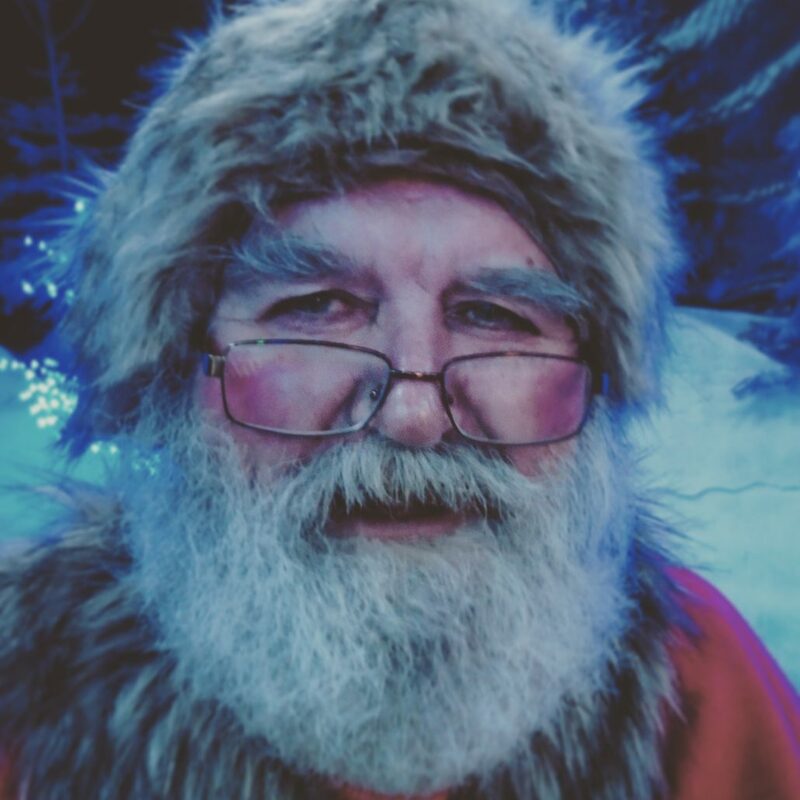 It goes without saying that, unlike many pretenders, we have ‘The Real Santa’! If Ewe Like Christmas, Yule Love Farmer Parr’s! Our festive farm fun has become really rather famous! This price includes a visit to Santa as well !!! Babies under 1 years old – free admission. 1st Dec to 24th Dec 10am – 5pm! Last entry on Christmas Eve 2pm as Santa has a busy night ahead! 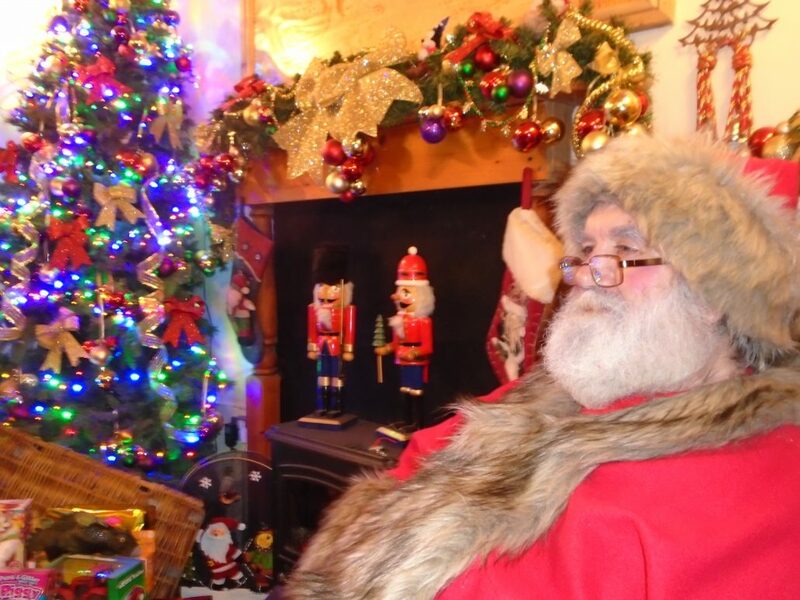 Herd ewer flock over to Farmer Parr’s, where they can have a good old chat with Santa and meet Rudolph too! Santa lives in his own special log cabin, with Rudolph peeping through the window. The entire barn is magically transformed into a Winter Wonderland with a live nativity scene. & see all the animals in their cuddly winter coats and help us feed them too. There is a large museum (with a ‘Christmas Quiz’). plenty of chance to spend time with the animals. We do get busy at weekends – so if ewe get a chance to pop along during the week – ewe will avoid the weekend stampede! Our Santa is extremely popular and we do get very busy. If ewe do have a chance to come during the week or after school ewe should avoid a big queue. At peak times please do expect to queue and we recommend arriving earlier in the day. Visits to Santa are on a 1st come 1st served basis. Presents and framed photos are optional extras and cost £5 each. No need to book – unless ewe are a group, school or nursery trip. to book ewer little angels in just give us a call! Special Christmas price of £5 per person applies to groups as well! We can tailor trips to suit your needs so just give us a bell! and take a festive trip down Memory Lane in our large museum. Several care homes visit us every year – if you would like a visit tailored to your needs – just give us a call. Fancy spending some quality time with Santa? Beat the crowds and join him for breakfast! £18 per child – which includes…. Dancing & a chance to burn off the excitement! 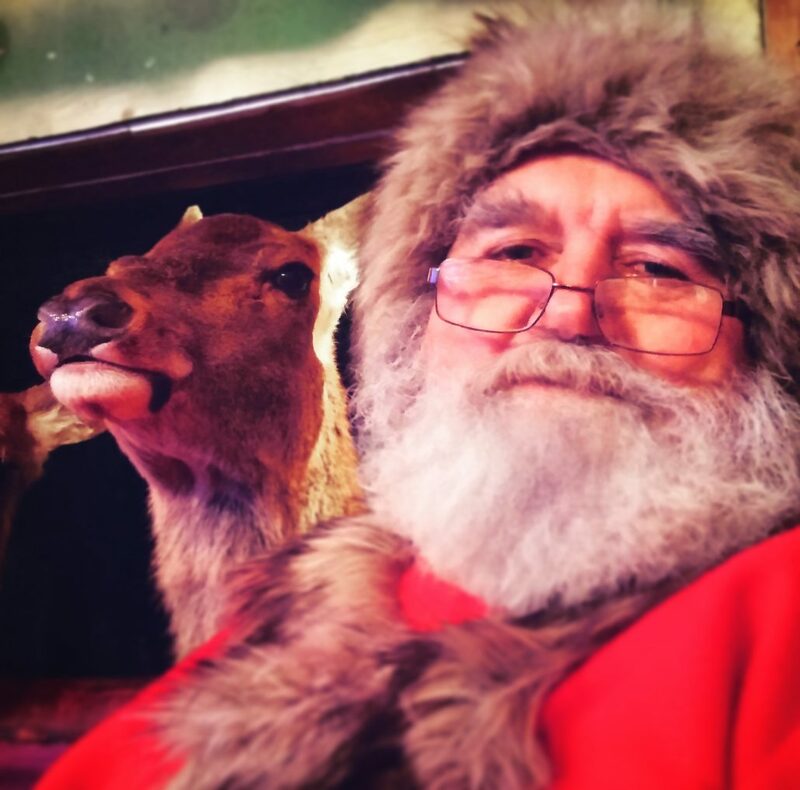 A visit to Santa’s b-ewe-tiful log cabin and an opportunity to meet Rudolph too. Ewe are also welcome to look around the farm afterwards. Please call 01253 874389 to make ewer booking. A magical family event! Enjoy a festive three course family meal and spend quality time with Santa in our new Tractor Shed Bistro. £20 per person – which includes…. A lovely present from Santa for the children and a chance to talk to him about your Christmas Lists and whether you have been naughty or nice…..
Why not adopt an animal for that special someone? This includes a photo, certificate and 12 passes to visit the farm – for just £40!